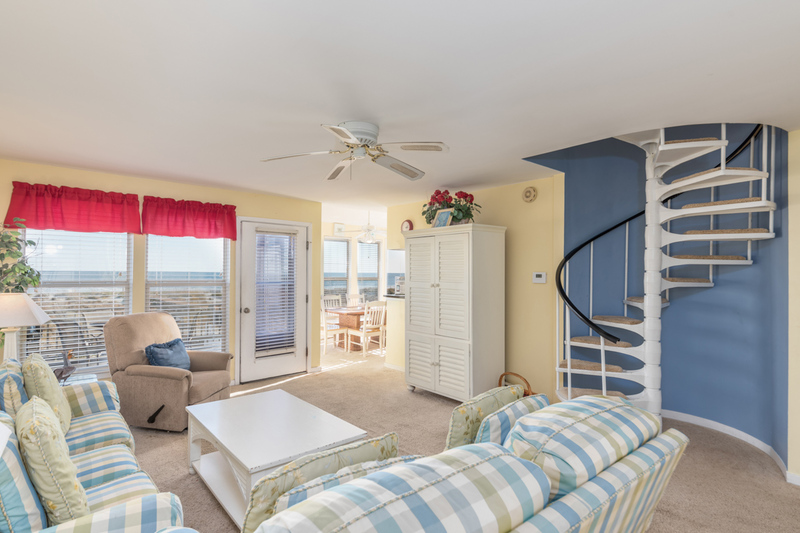 Flip Flop Zone, located at Captain John Fripp Villa 102, is just what your next vacation needs! 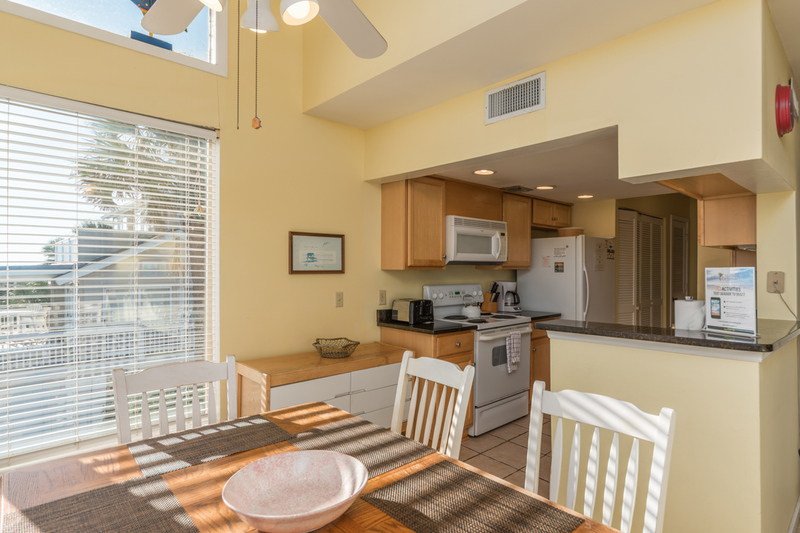 This property has the best beach on the island just outside your back door, the most amazing ocean views the island has to offer, and a cozy place to lay your head at the end of that long day at the beach. Step inside and immediately feel at home. 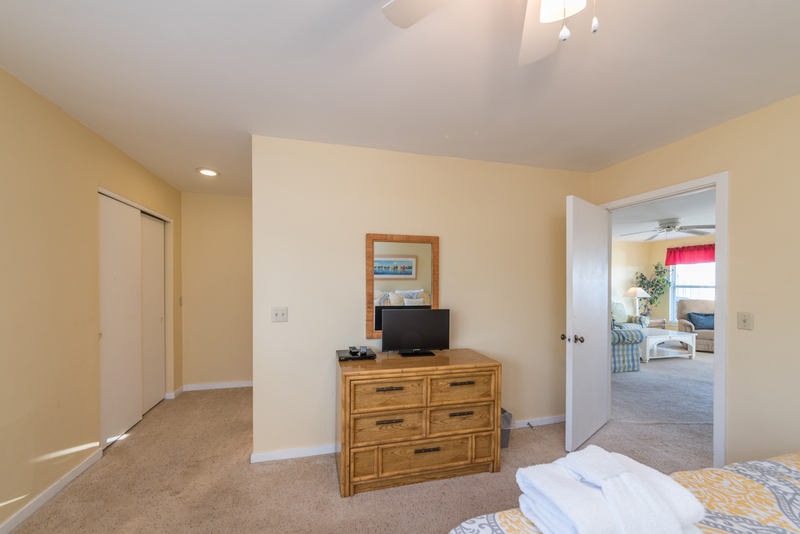 This upstairs, corner unit gives you ocean views from the living room, dining room, kitchen and master bedroom. 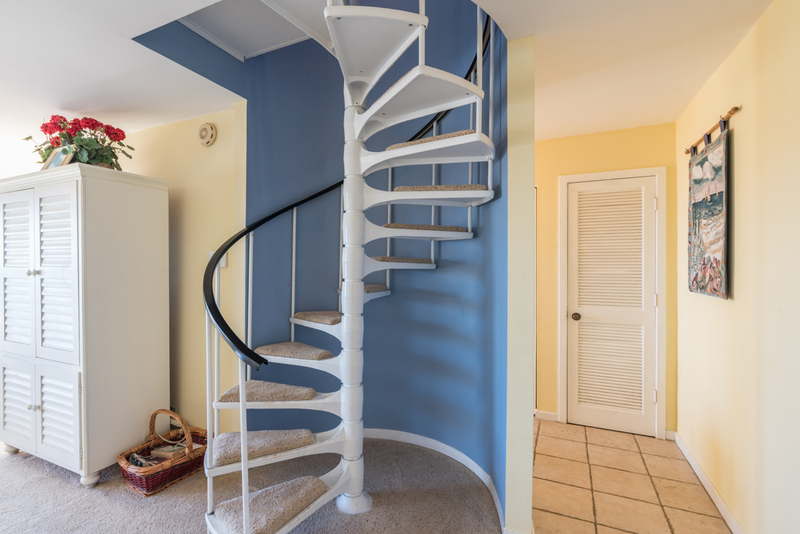 There is ample room for everyone, offering accommodations for up to five family members and friends. 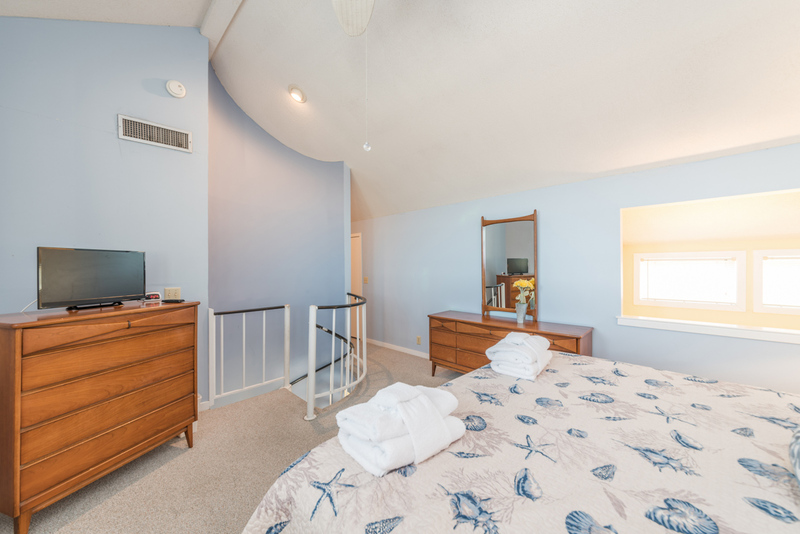 The Master bedroom is up a spiral staircase and has a king bed with a small private bath. 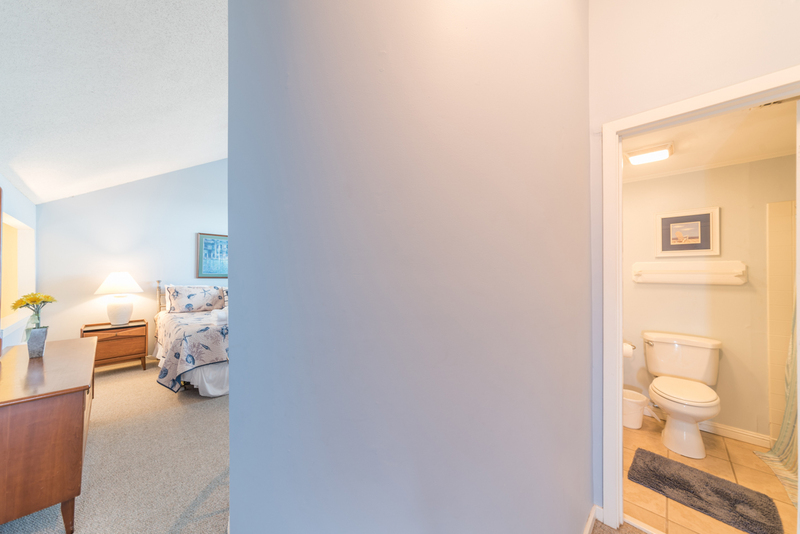 Downstairs, we have a bedroom facing the street with a queen and a single with a private bath. 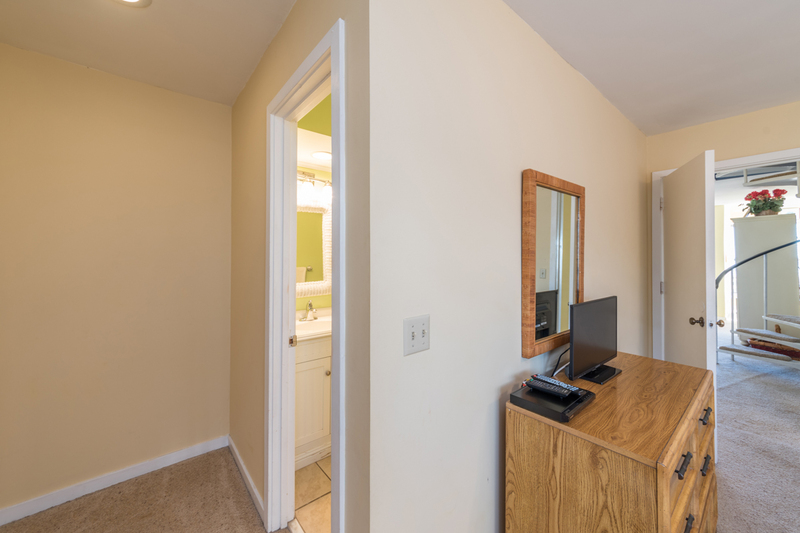 We've included all the amenities of home such as a fully-equipped kitchen with the requisite small appliances, cable TV, DVD player, and WIFI. We even provide a small library of good vacation reads in case you left yours on the mainland! 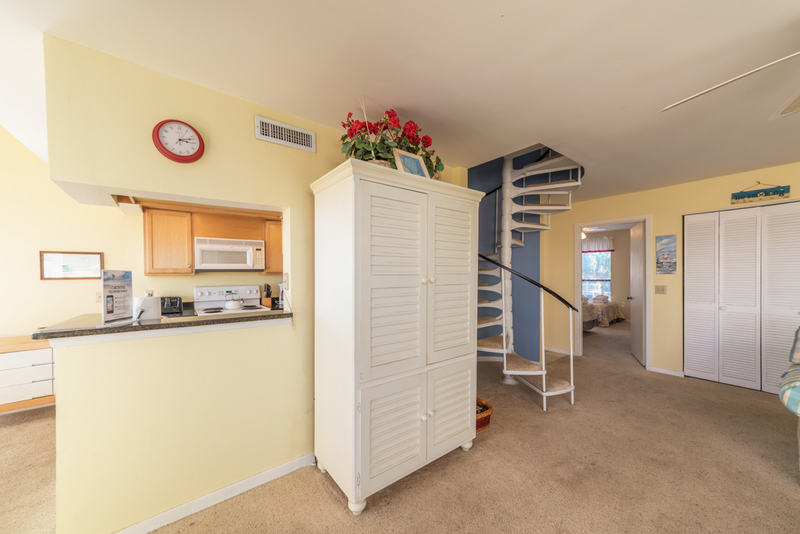 This upstairs unit is located at the center of the island, next door to The Beach Club. You can walk to the adult pool, the children's pool, the Food Court (Starbucks, pizza, ice cream, etc. 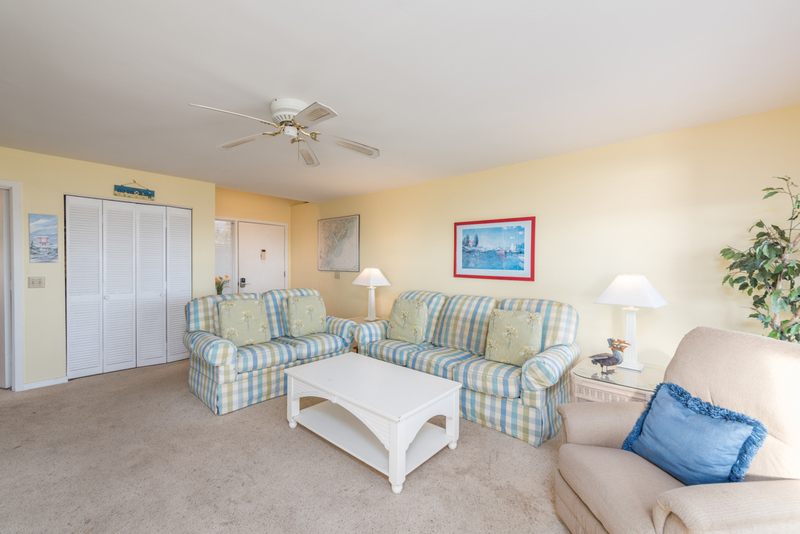 ), Ocean view Bar, the Sand Bar (outdoor bar by the beach), fitness center, club office, and tennis courts. 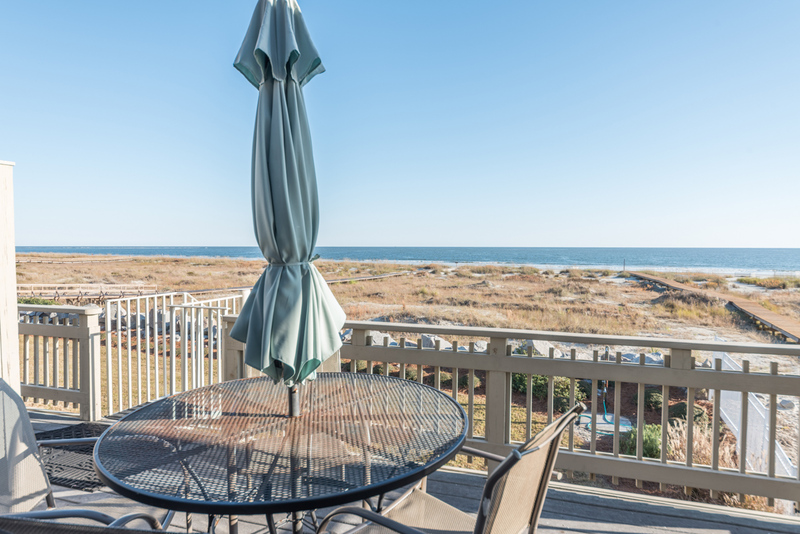 Have a small siesta on the deck where you can gas grill while listening to the sounds of the ocean. 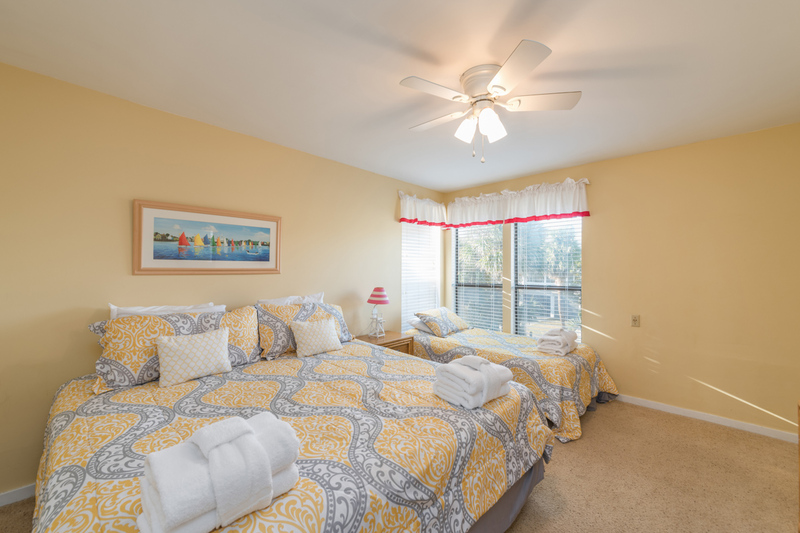 The beach at Captain John Fripp Villas is available 24/7. 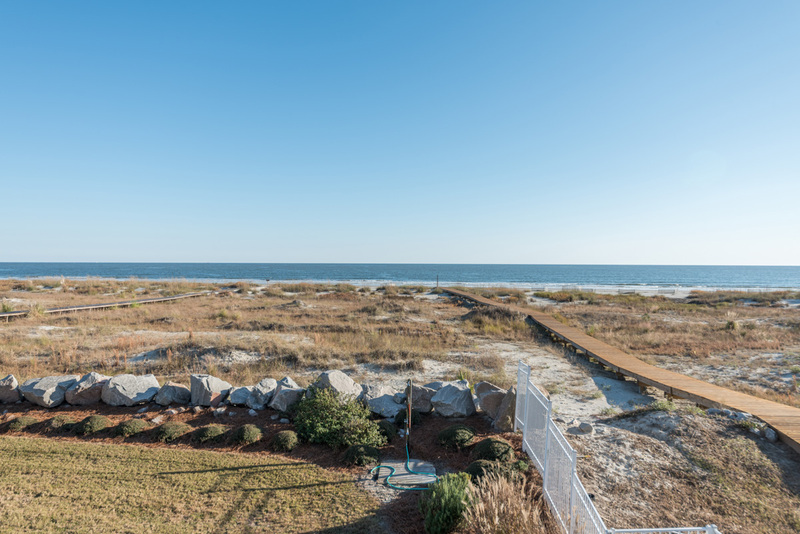 On our barrier islands, the tides are semi-diurnal, which means that our shoreline experiences two almost equal high tides and two low tides each day. At high tide, the water can swell to an average of 7-9 feet. 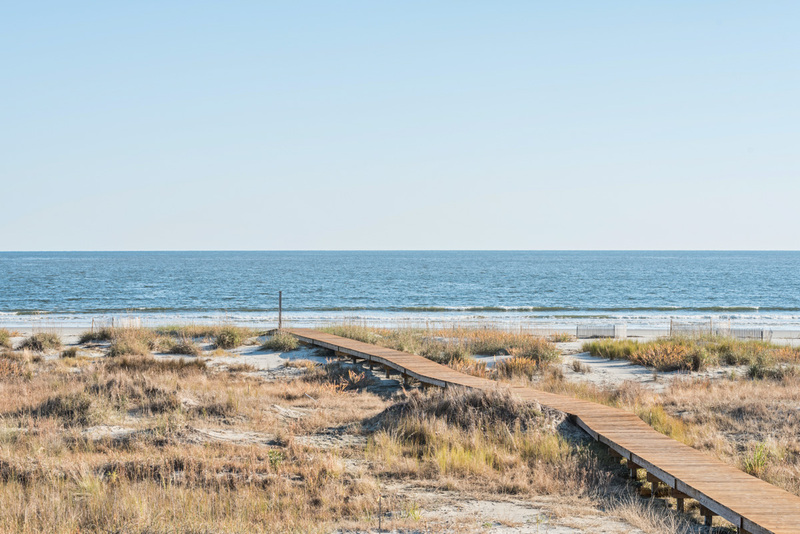 At low tide, you will find that you walk out about 300 yards to get to the ocean. Currently, there is a large tidal pool, which is a great place for small children to play. Tidal pools occur at low tide when as the water retreats, leaving water behind. 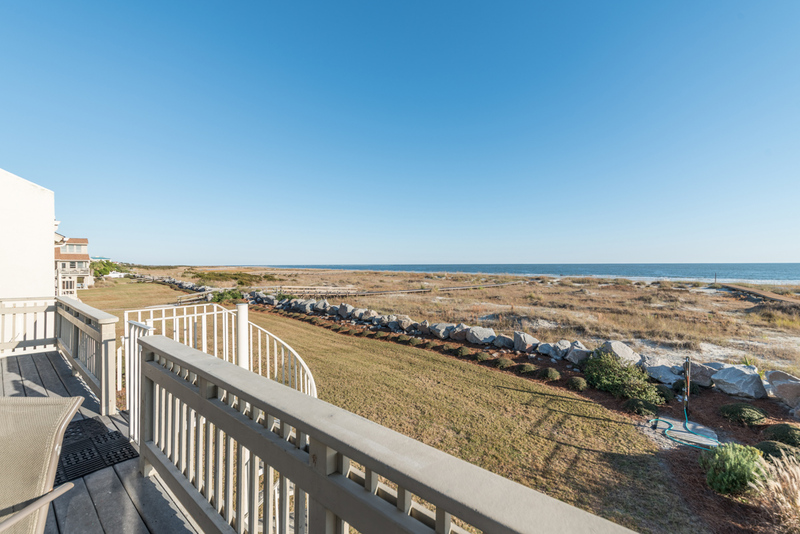 Fripp is a private island and nature preserve with a sophisticated variety of amenities. 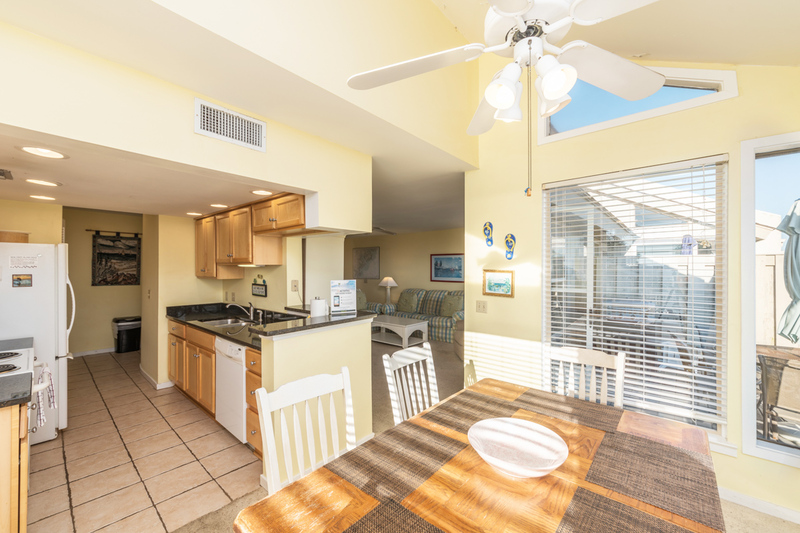 Choose from the offerings of the island's two, 18-hole championship golf courses, 10-court racket club, full service marina, multiple dining and shopping opportunities, and more (with purchase of guest cards). Relax by one of the seven pools on the island, charter a fishing boat, rent a bike, moped, or golf cart to venture around the island or view the wildlife, or enter a fishing, golf, or tennis tournament. There are 2 Guest Amenity Cards included in your reservation for stays of 7 days or more. 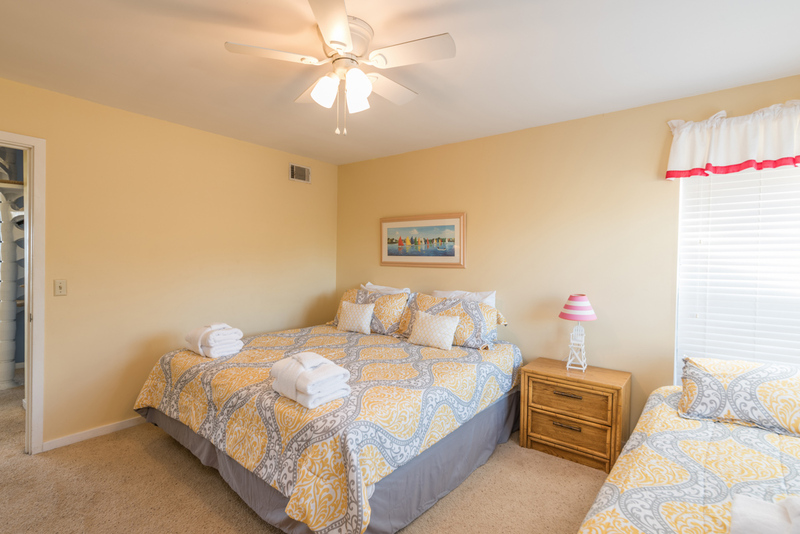 You have the option of purchasing additional Guest Amenity Cards, which grant access to Fripp Island amenities such as golf, tennis, restaurants, swimming pools and more. Cards must be purchased through Natural Retreats prior to arrival. 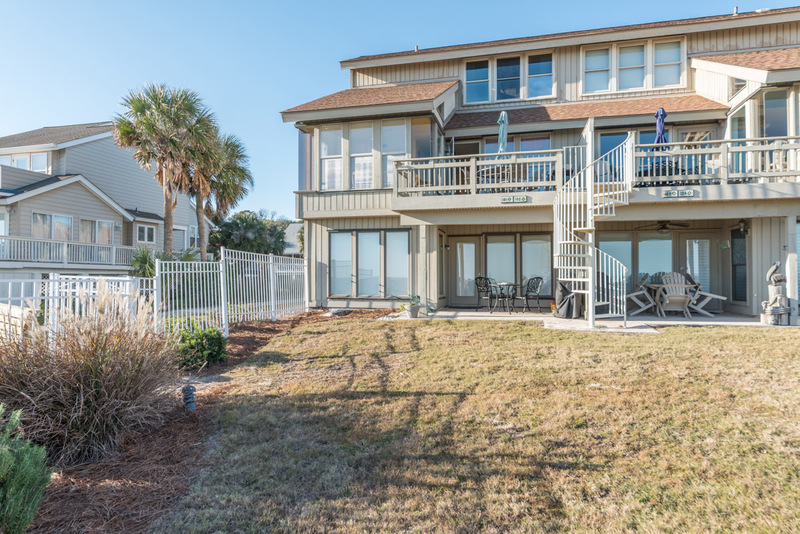 Flip Flop Zone on Fripp Island is rated 4.0 out of 5 by 7. 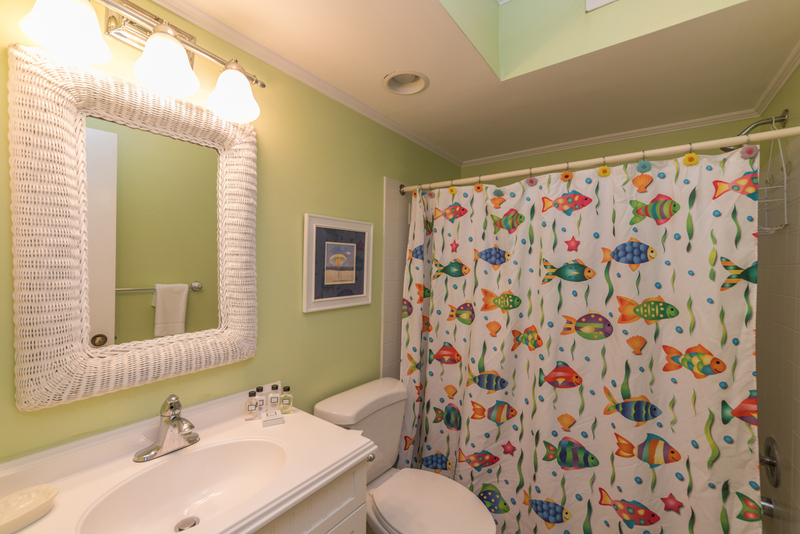 Rated 1 out of 5 by mls2967 from Flipp Flop Zone - Captain John Flip Villa Flipp Flop Zone - Captain John Fripp Villa NEEDS to be completely redone. The air conditioner was horrible. It puffed out luke warm air and despite the thermostat settings - temperatures reached 80-85 degrees on a daily basis in the unit by the evening hours. It was miserable to try to sleep. The air conditioner leaked into the downstairs condo and caused a ruckus with that owner and we were caught in the middle of the whole situation. None of these things should have to be dealt with on your vacation!!!! 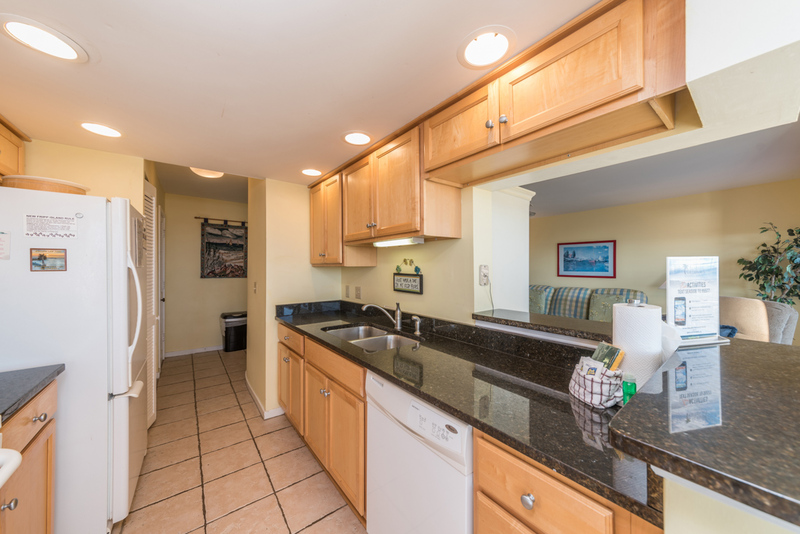 Unit needs to be pulled from the market and upgrades made to ensure this does not happen to another family trying to enjoy a vacation. 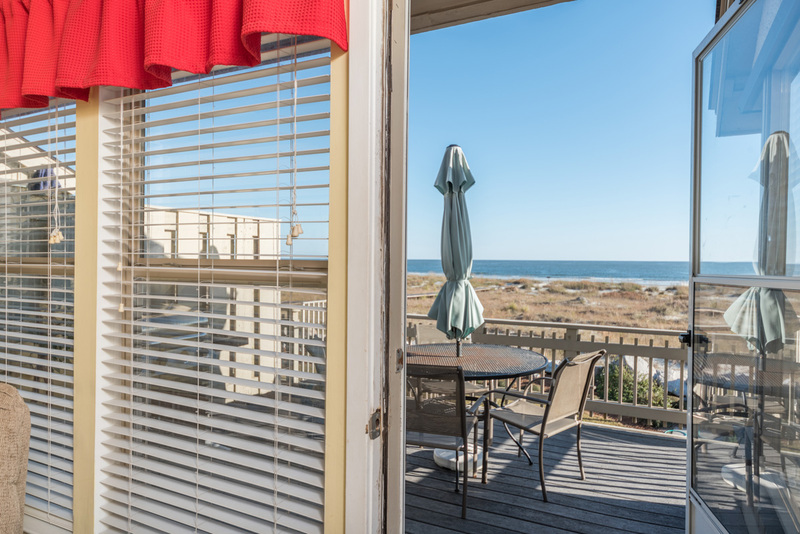 Rated 5 out of 5 by Bethie from Fripp tripp The whole experience was wonderful...from booking, arrival, accommodations to departure. It was a special touch having champagne and local chocolates waiting for us, as it was out anniversary. Thank you for a wonderful stay! 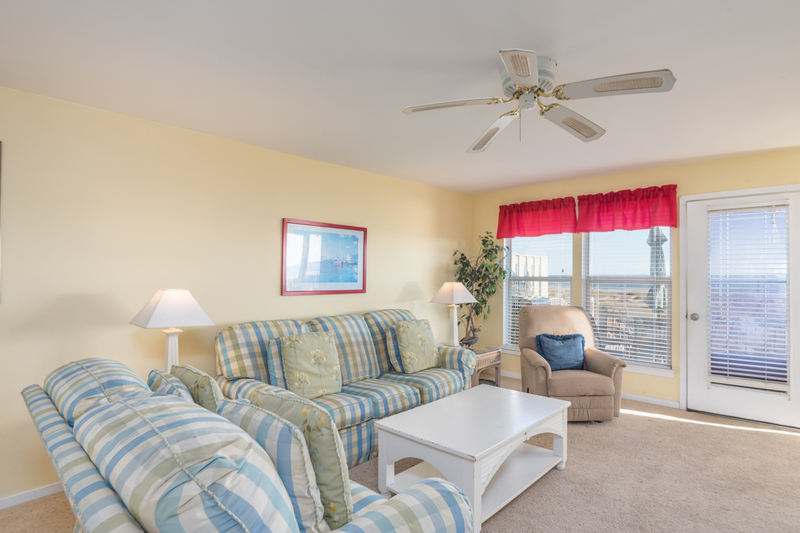 Rated 5 out of 5 by rickster from Best view of the beach and easy quick acess to it. Been there three times and heading back again late April, my wife simply loves it also. 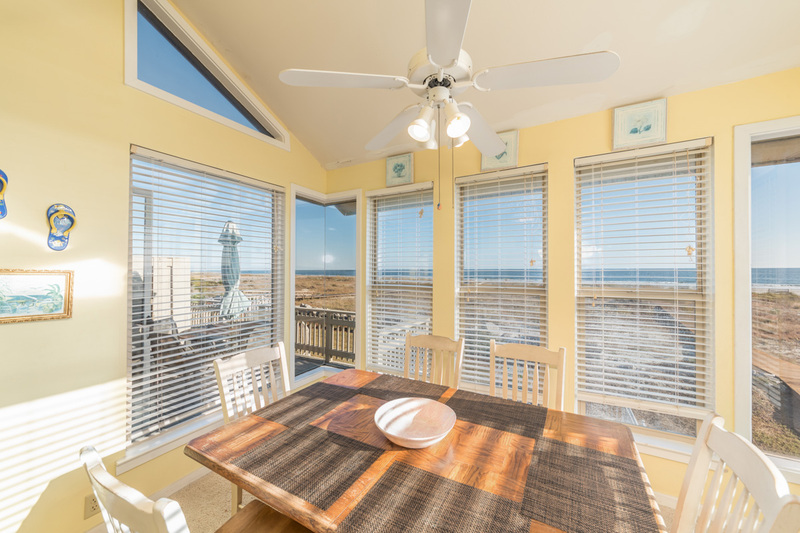 Rated 5 out of 5 by ricksterinky63 from Awesome View and Awesome Price The Wife and I have been to Flip Flop Zone 6 Times and are Scheduled for another week this year. 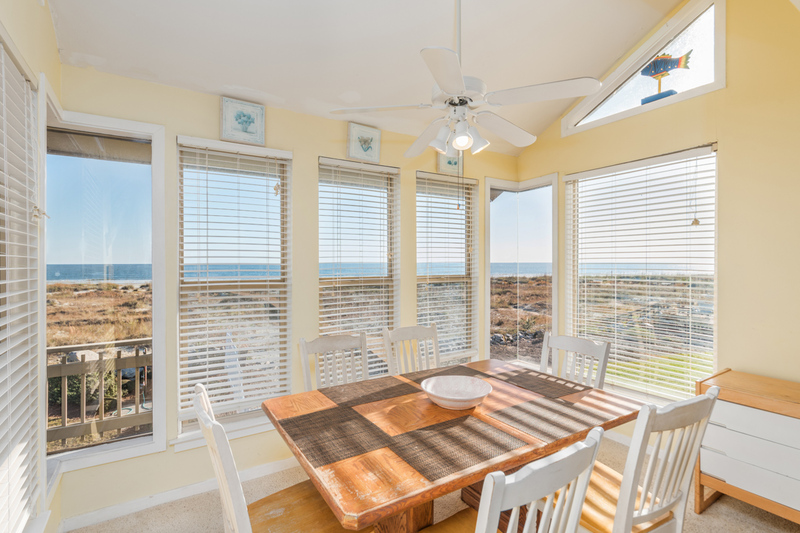 Great view of the ocean from the Dining Table and Back Deck. Combine that with the professional staff of Natural Retreats and very nice Ocean Front Cottage, I plan on more future trips. 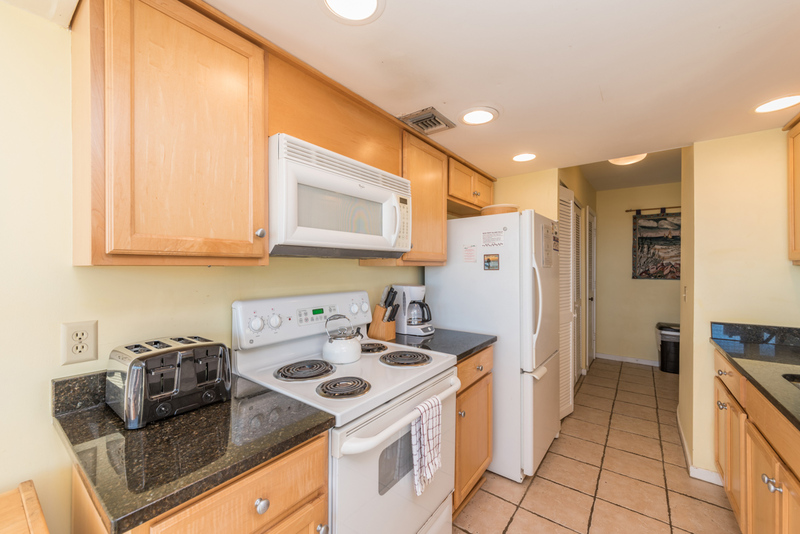 Rated 3 out of 5 by BillB from A Unit with Great Potential If the unit was upgraded, I would book it, at a premium, for years in advance! 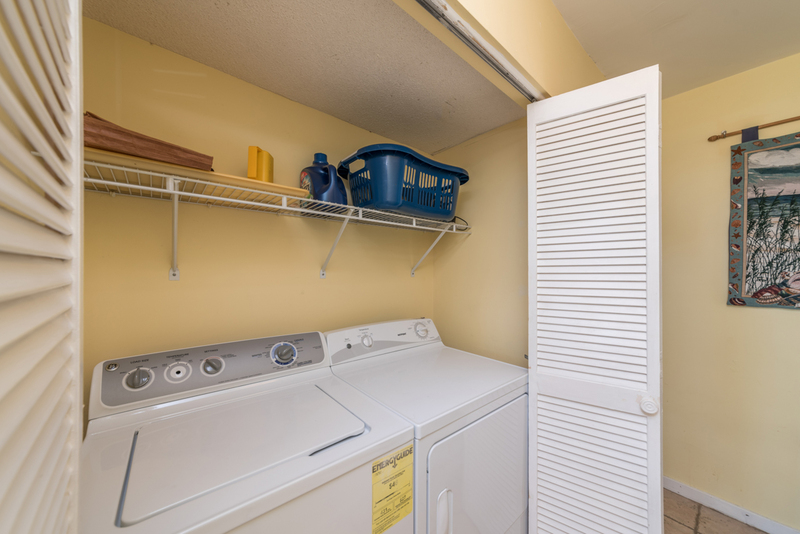 Great location, great views and easy access to amenities. 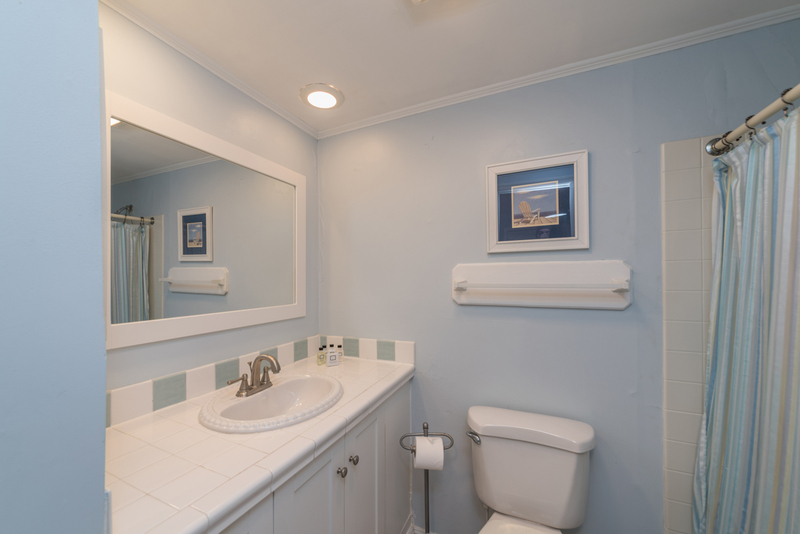 Unfortunately, the interior is tired, dated and it seriously detracts from the overall experience. Rated 5 out of 5 by 2 old kids from Great View From Condo Peaceful, nice neighbors next door, could not have had a better time at this condo. 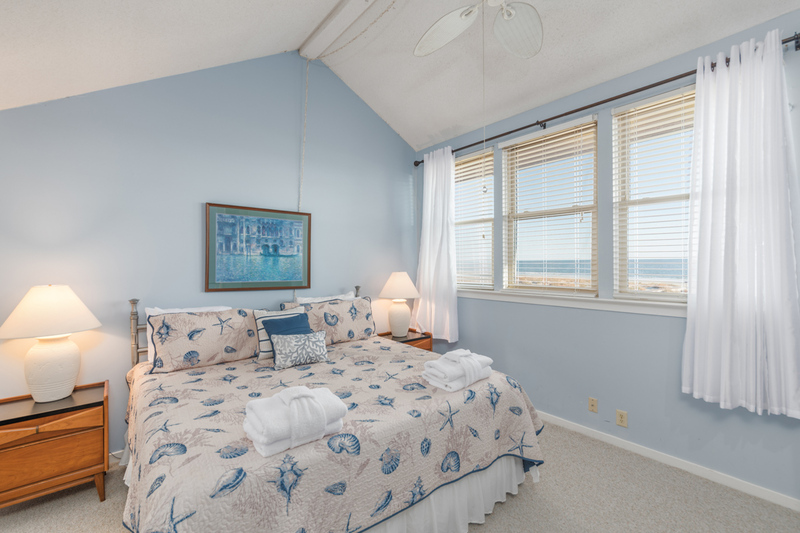 Rated 4 out of 5 by Knoxpatch from Great location, right on the beach Location can't be beat.